Munich - His arrival as new head coach of freshly-crowned UEFA Champions League winners FC Bayern München was one of world football's biggest summer stories and on Wednesday (October 2nd), Pep Guardiola chalked up his 100th day in the job in Munich. At his official Allianz Arena unveiling on 24 June, the former FC Barcelona mastermind had described it as "an honour and a privilege to be given the opportunity to coach this team." Making an instant impression on the local media by speaking in swiftly-acquired fluent basic German, Guardiola addressed the challenge of following up on Bayern's record-breaking 2012/13 campaign. His intention, he said, was to "change a few things, while keeping the side at their current high level. There's always pressure on the coach [here], whether you're following up on a treble or otherwise." So, a hundred days in, how are things progressing? In short, not too badly at all. FC Bayern travel to third-place Bayer 04 Leverkusen for the Bundesliga Matchday 8 summit meeting second in the table behind Borussia Dortmund on goal difference alone. Both sides are on 19 points, only a draw apiece shy of a 100 percent record. Bayern's 1-1 stalemate at SC Freiburg on Matchday 4 deprived Guardiola of the opportunity to match or even improve on the six-game winning streaks that kick-started the reign of a couple of his predecessors in Munich - Ottmar Hitzfeld and Otto Rehhagel - but that is the least of the 42-year-old Catalan tactician's concerns. After his charges picked up their latest three-point haul with a hard-earned 1-0 home victory over VfL Wolfsburg, Guardiola, not for the first time emphasised that the current readjustment process at Bayern is still in its early stages. "We had a few problems to solve in the second half," he said. "We won in the end, but there are aspects we still need to improve on." The biggest indicator, however, of a positive trend under the new coach came against Manchester City FC in the UEFA Champions League on Wednesday night, Pep's 100th day in charge. The Citizens had been talked up as Bayern’s biggest challengers in the group, but they were brushed aside by Guardiola’s team, who produced a masterclass of Champions League football to seize the initiative in Group D.
The performance displayed all the hallmarks of the FC Barcelona teams that Guardiola had led to 14 trophies in his four seasons at the Camp Nou: incisive attacking football, mesmeric ball retention and complete control of the opposition. The 3-1 victory was described by defender Dante as “the surest sign yet that we’re playing how the coach wants us to play” and was a clear reminder that Bayern remain among the favourites to go all the way this year. The new coach's system changes have inevitably come under intense scrutiny and among the most innovative, and by extension unexpected, developments of Pep's first hundred days in office has been his deployment of Philipp Lahm in a midfield role - typically just in front of the defence and behind a flexible four-man axis and nominally lone striker. Now almost 30 and having played his entire career at full back, more than 100 appearances for Germany included, Lahm has adapted to his new role with aplomb, and apparent relish. Guardiola, indeed, has already described his hometown skipper as "maybe the most intelligent player I've coached. He's at another level." Lahm's 'promotion' to a holding midfield berth has meanwhile given a fresh lease of life to a player previously in danger of being marginalised at the record champions. Rafinha, signed from Genoa CFC in 2011 and five years on the books at FC Schalke 04 prior to that, has started at right back in Bayern's four most recent league outings, the last three of which have all resulted in a clean sheet. Admitting he had been "surprised" by the level of the 28-year-old one-time Brazil international's performances, Guardiola echoed his previous praise of Lahm as well: "He's intelligent, he doesn't give the ball away very often. I like intelligent players." 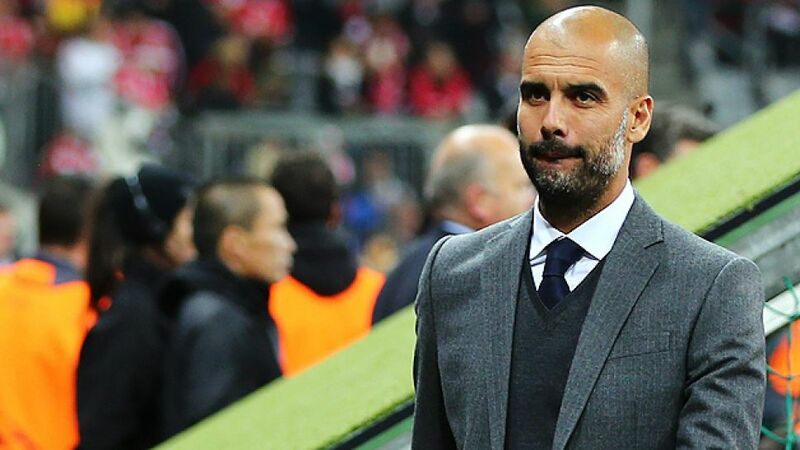 The strategy has served him well in his short but meteoric coaching career to date - and 100 days in at Bayern München, Pep Guardiola is already making his own very distinctive impression at FC Bayern and on the Bundesliga at large.